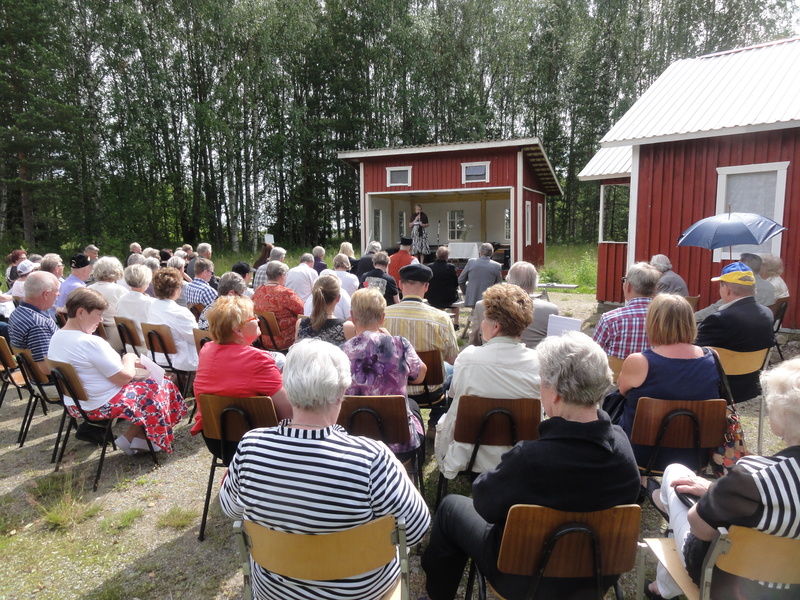 the Finland Society for her speech on the work of her society. of the life of the building. Canadians. Veli Niinimaa lives in Calgary Canada. Mrs. Sinikka Koskinen for bringing the items to our fest. Australia. He donated his biograph Reissumies Down Under. in USA. He donated some items for the Hakala house. Sinitaivas and the other local musicians for entertaining the audience. Thank you for coming to our fest all of you! at the World of Trails. will be opened to public. Tel. +358 40 7748 577.